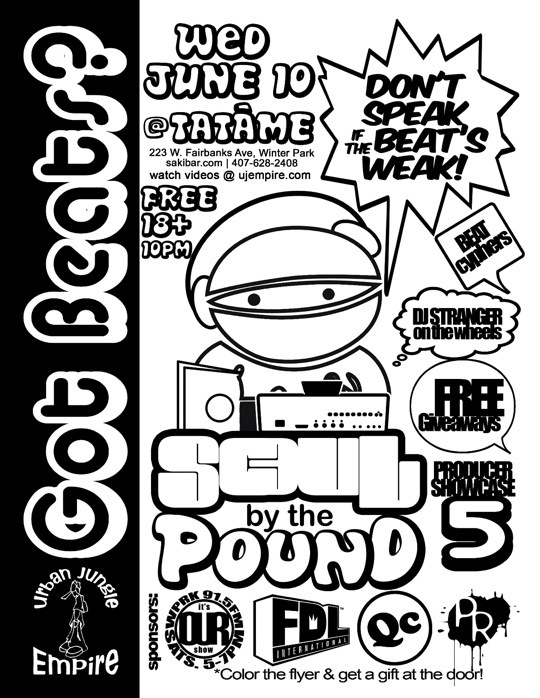 Florida producers take note… Soul By The Pound producers showcase takes place on June 10, 2009. The event promises beat cyphers, giveaways and DJ Stranger on the 1’s & 2’s for a price that’s right… FREE. Check out UJEmpire for more info. thanks for posting this and helping spread the word! much appreciated. we do these shows monthly. this is the 5th one. you can check out videos and pics from the previous ones on the site. dope site, btw. added you to our fam and friends section. No problem… keep us posted with future event news.